Step 1: Your first step is to grab all of the content you want to keep from your products and services page. Copy this into a word document with the title of each page followed by the text and any recommendations you may have. 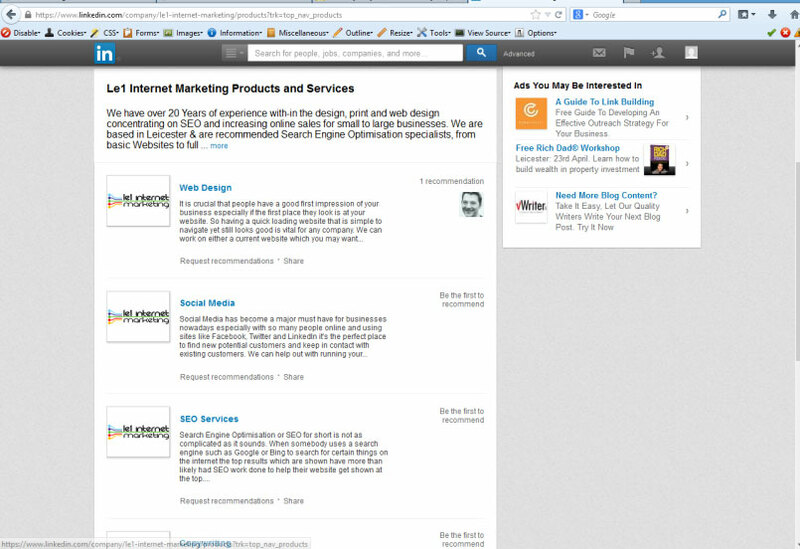 Step 2: Once you have collected everything scroll up to the top of your company page and click home. Hover over the arrow on the blue ‘edit’ button. A list should appear. On this list select ‘Create a Showcase Page’ A box will appear click the yellow ‘Get Started’ button at the bottom of this box. 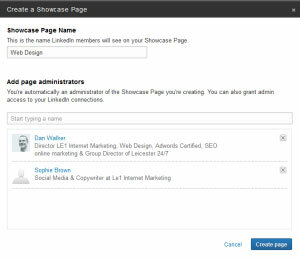 Step 3: Another pop up box will appear and this is where you start to create your first showcase page. 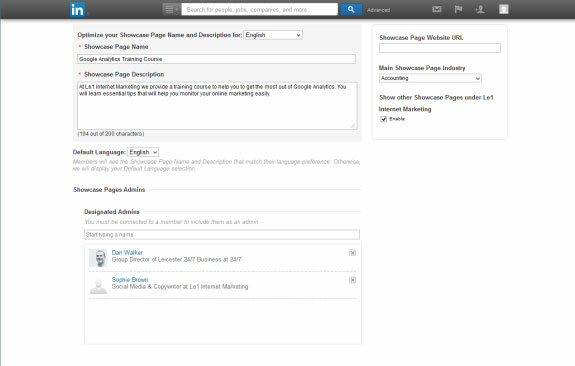 You will be asked to enter the ‘Showcase Page Name’ this is the name of the main showcase page, for example Web Design. It will then ask you to add the page administrators. This will be you or anybody else you want to add. Once you are done click ‘Create Page’. Step 4: A page will appear which will allow you to add a header images/logo images as well as a short description of what people can expect from this page. You can also add a page URL and the industry your showcase page comes under. Step 5: Scroll to the top of the page and click publish. You have successfully created your first showcase page. 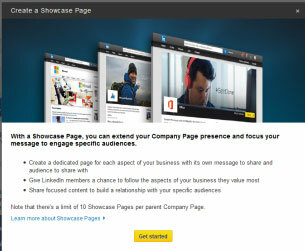 LinkedIn allows you to create a maximum of 10 showcase pages.